Jon is American/Swiss and joined the Sabre family in January as the Interim Country Director. Jon was the appointed as Chief Operating Officer at the end of 2017. 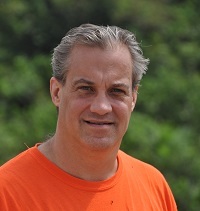 Jon has worked for a variety of organizations on four continents and his advisory and leadership experience ranges from sustainability and ethical business in the private sector (including cocoa), to the United Nations, international education NGOs, and more than seven years in governmental agencies of the United States Government. Previous work experience in West Africa includes Sierra Leonne, Liberia and the Ivory Coast. Jon’s volunteer work also spans four continents, supporting underprivileged youth in various ways.